或许我已经变成了一条咸鱼 - Siphilsの日常 - Life is what you make it. By 默默 at 2019-2-17 08:55 pm. By 路过的小强 at 2019-2-14 08:15 pm. By Siphils at 2019-2-14 08:41 pm. By 归墟 at 2019-2-1 10:59 am. By 演员 at 2019-1-31 10:20 pm. By farmer at 2019-1-28 08:08 pm. By Siphils at 2019-1-29 11:28 am. By 小葵 at 2019-1-25 06:55 pm. 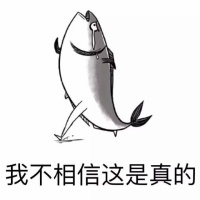 By 路过的小强 at 2019-1-23 08:49 pm. By Siphils at 2019-1-24 11:12 pm. By 异星软件空间 at 2019-1-23 11:12 am. By Lingki_Chin at 2019-1-23 12:44 am. By Siphils at 2019-1-23 10:29 am. By 子弹 at 2019-1-22 05:12 pm.